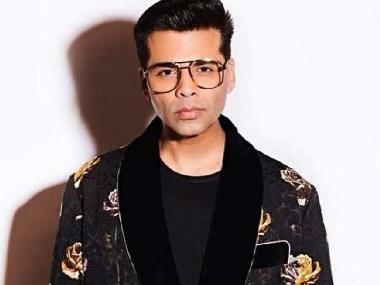 After collaborating on the 2016 multi-starrer Ae Dil Hai Mushkil, it seems like Karan Johar and Ranbir Kapoor will be teaming up once again to bring another big Bollywood release to our silver screens. Johar took to Twitter to announce the upcoming project on Kapoor's birthday in a series of tweets. The director-producer also clarified that the the movie will not be the much anticipated Dragon, a collaboration between Ayan Mukerji and Kapoor, which is touted to be a superhero film. The obvious leap that one would make is that Johar will produce the movie, however KJo was quick to rubbish these assumptions. He announced that the title of the forthcoming film will be revealed soon. Kapoor is currently busy shooting for the Sanjay Dutt biopic which is expected to hit cinema screens sometime next year. This year he saw a Bollywood release in the form of Jagga Jasoos, touted to be the Hindi film industry's first ever adventure-drama musical. Kapoor starred in Jagga Jasoos opposite Katrina Kaif.